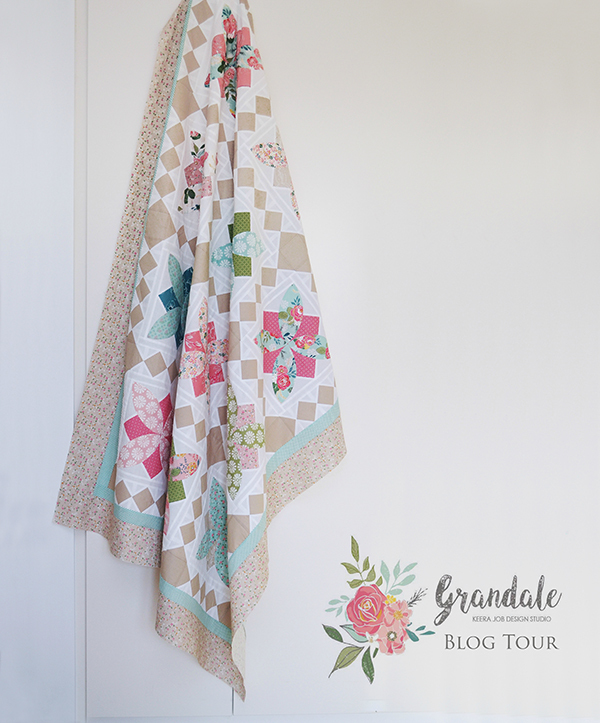 Today is my stop on the blog tour for 'Grandale', a new Riley Blake fabric collection that is now available in fabric stores worldwide. 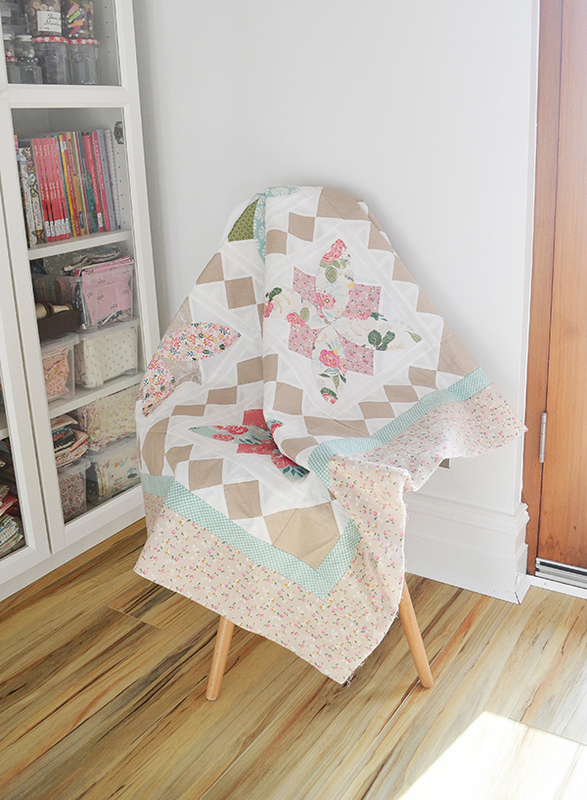 This pretty floral and farm inspired collection was designed by fellow Australian designer Keera Job. 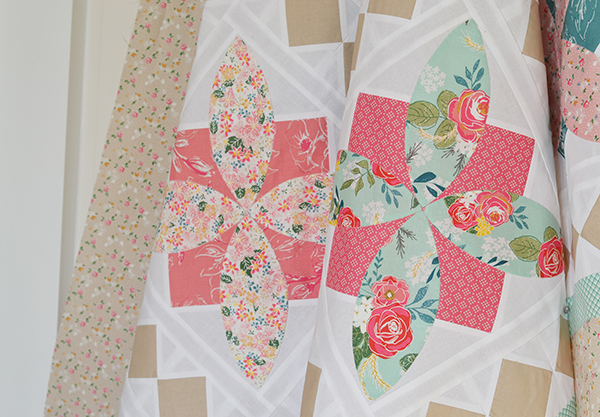 I love the subdued soft colours of these prints so much that I designed a quilt inspired purely by these fabrics! 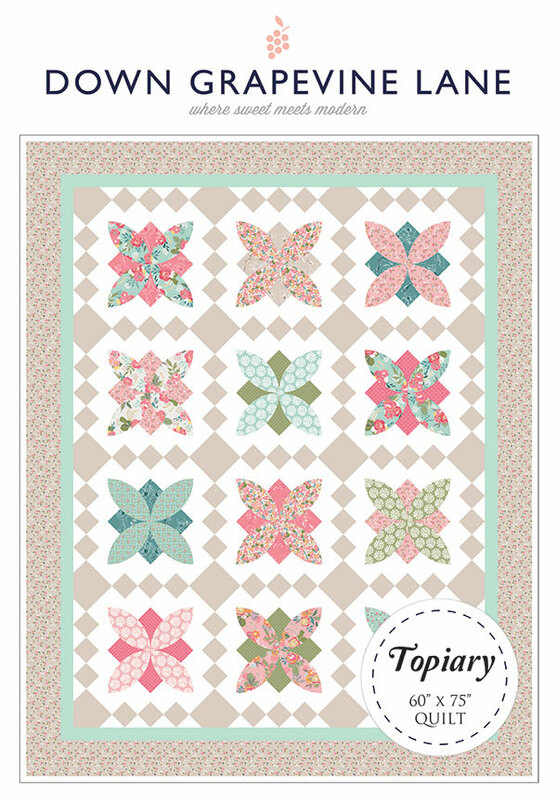 Here's my new quilt pattern, 'Topiary', which will be available in PDF and paper formats. The quilt depicts flower beds divided up by garden paths - it's mostly traditional patchwork with the flower petals being the only applique element. 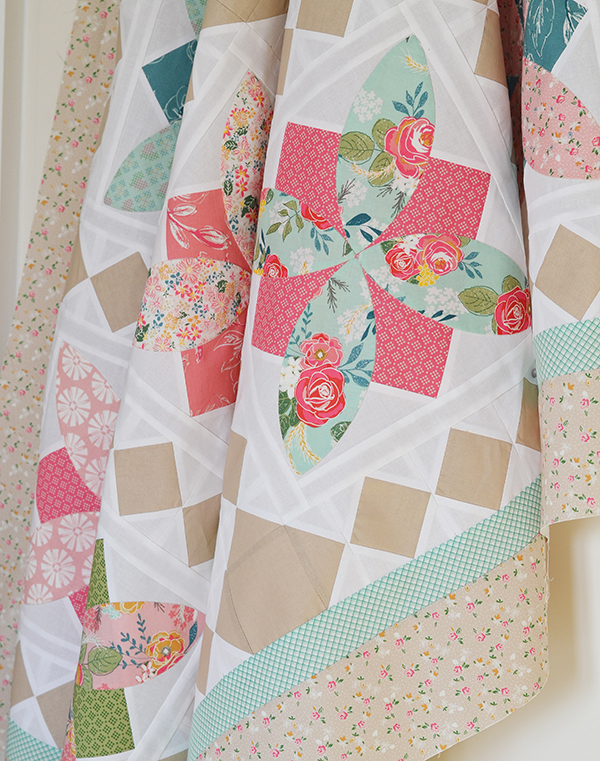 The pattern is currently being checked by my pattern testers and the quilt is being long armed - I expect to have the quilt pattern available in two weeks. Send me an email at sedef@downgrapevinelane.com if you would like to be notified when it's out - it's going to be on sale at 30% off for the first 48 hours! 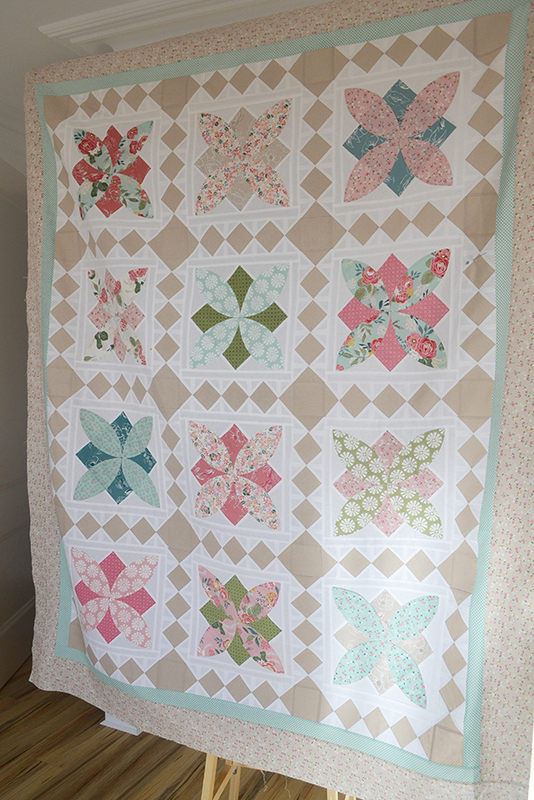 If any fabric stores are interested in stocking kits for this quilt, please do get in touch also. Thank you for stopping by today. 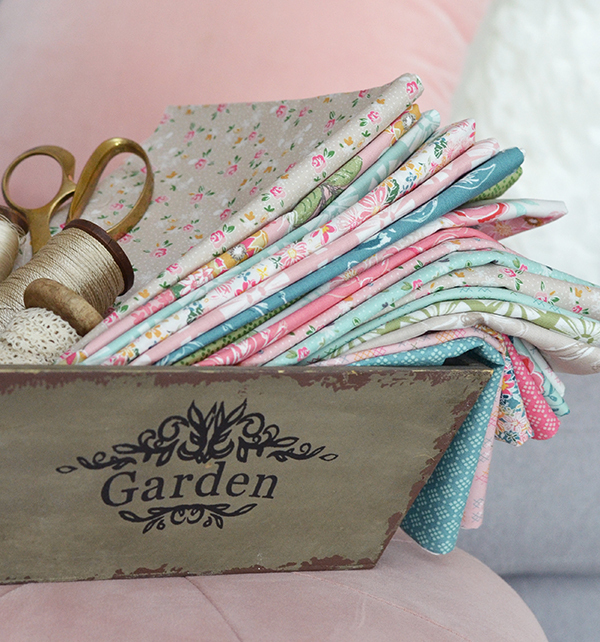 If you would like to see more projects in Grandale fabrics please visit the other makers taking part in the blog tour, and of course Keera's own website! Your quilt is beautiful Sedef. So gorgeous! 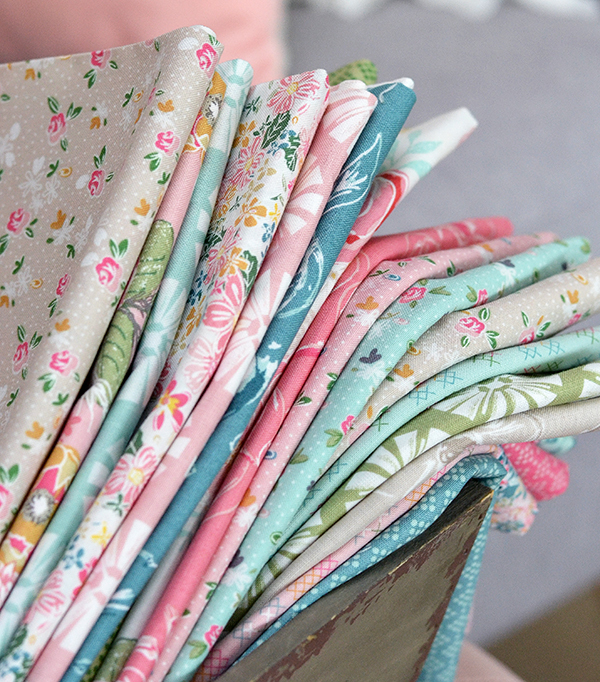 I love this fabric collection too and just completed a quilt with it. But I love your new quilt design. I'll be emailing you to find out about purchasing your pattern. 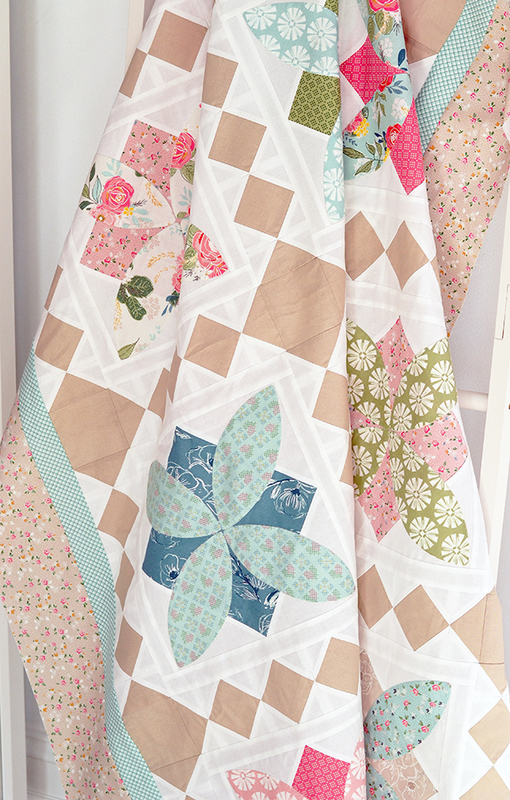 Beautiful quilt made with beautiful fabrics! Very beautiful, this is such a happy quilt.